The Bachelor’s of Athletic Training Clinical Concentration and Master’s Degrees in Athletic Training prepare graduates to serve as professional athletic trainers across health and sport settings. Indiana State University has a proud tradition of graduating highly qualified and well regarded Athletic Training professionals. In light of recent reviews by the Commission on Accreditation of Athletic Training Education (CAATE), ISU has decided to voluntarily withdraw from accreditation. All students presently enrolled in the BS and MS Athletic Training Programs may continue in the program. Students completing the degree requirements at ISU will graduate from a CAATE accredited program and are eligible to take the Board of Certification Examination. The University is eligible to apply for accreditation in two years: May 2021. We have transitioned our undergraduate Athletic Training Clinical Concentration to Master’s of Science in Athletic Training. As a result, the B.S. in Athletic Training Clinical Concentration is no longer accepting applications. All students interested in Athletic Training should review the admission criteria for the Master’s of Science in Athletic Training degree . Athletic trainers are healthcare professionals who specialize in the prevention, evaluation, rehabilitation and management of injuries that result from physical activity, especially those involving the musculoskeletal system. Indiana State University’s Commission on Accreditation of Athletic Training Education (CAATE) accredited professional athletic training curriculum provides students with classroom and clinical experiences that are appropriate for the entry-level preparation of a Certified Athletic Trainer. 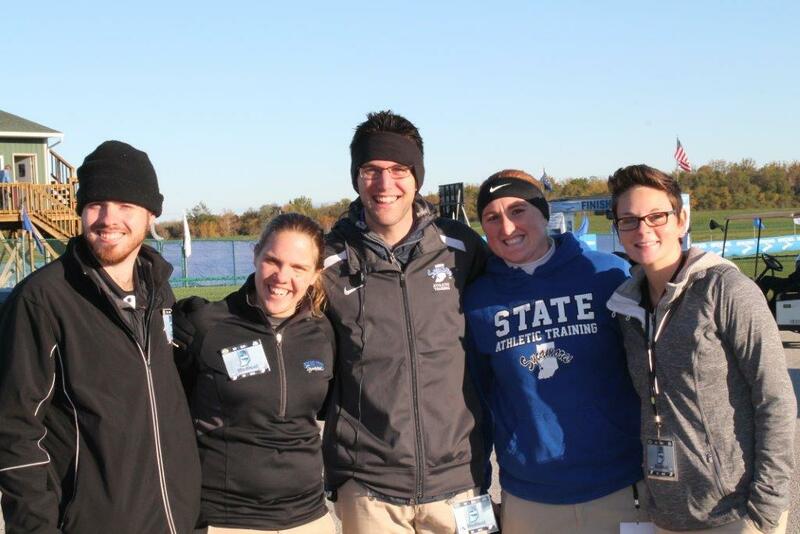 As one of the oldest established programs in the country, Indiana State Athletic Training boasts one of the largest alumni networks in the country including the likes of National Athletic Trainers’ Association Presidents and Hall of Fame members, Journal of Athletic Training editors and section editors, renowned researchers, and celebrated clinicians. The Professional Athletic Training (PAT) education program is dedicated to prepare students for employment in entry-level athletic training positions through research, coursework, and service in the community. The PAT supports excellence and develops productive citizens who function as skilled professionals. Coursework in the program/concentration emphasizes strong theoretical foundations within each of the areas in athletic training, as well as critical thinking and problem solving skills associated with obtaining clinical proficiency. Students also benefit from hands-on clinical education experiences with health care professionals. Professional Development and Evidence-Based Practice. Senior Year - Students can be placed at two full semester rotations or one full year clinical site. Seniors acquire a minimum of 20 hours per week and are encouraged to obtain additional liability insurance to participate in additional clinical education experiences. Spillman AC, Fagg B, Christopher M, Demchak TJ. Effectiveness of Take Home Low-Level Laser Therapy in Treating Fibromyalgia Syndrome: A Case Study. 47th Annual Great Lakes Athletic Trainers Association Poster Presentation. Cates L, Demchak TJ. Low Level Laser Therapy Successfully Treated Wartenberg’s Migratory Sensory Neuritis. 47th Annual Great Lakes Athletic Trainers Association Poster Presentation. Careers According to the Bureau of Labor Statistics, Athletic Trainers earn about $42,790 per year and the profession is among the 30 fastest growing occupations with an anticipated growth of 37% by 2018. Although athletic trainers will maintain their presence in the traditional sport settings (secondary schools, college/university, professional and recreation sports), more athletic trainers will be needed in hospitals, outpatient treatment facilities, and other settings providing substantial job opportunities upon graduation.